June 22, 2016 COLORADO SPRINGS, Colo. – The United States Olympic Committee today announced a record-setting participation for Olympic Day 2016, with 2,120 events scheduled in 1,503 communities across the country expected to engage more than 800,000 Americans in celebration of the Olympic Movement. Olympic Day, celebrated globally on June 23, has been recognized each year since 1948 to commemorate the birth of the modern Olympic Games on June 23, 1894. An International Olympic Committee initiative, the mission of Olympic Day is to promote the Olympic values of excellence, friendship and respect – and the three Olympic Day pillars – move, learn and discover – around the world. In 2016, Olympic Day activities are being held on six continents with several thousand events worldwide and more than 160 participating National Olympic Committees. LA 2024, the LA84 Foundation and the Foundation for Global Sport Development will co-host an Olympic Day event at the iconic Los Angeles Memorial Coliseum, where more than 500 young Angelenos will be able to rotate through eight Olympic and Paralympic sport stations, led by Olympic athletes, LA84 Foundation grantee programs, and local sport and adaptive programs. The U.S. Tennis Association is hosting the most Olympic Day events of any individual organization with 354 events planned at local courts across the country, followed by USA BMX, which is hosting 248 events. Forty-three National Governing Bodies and four High Performance Management Organizations and their affiliated clubs will host a total of 1,193 events in honor of Olympic Day. 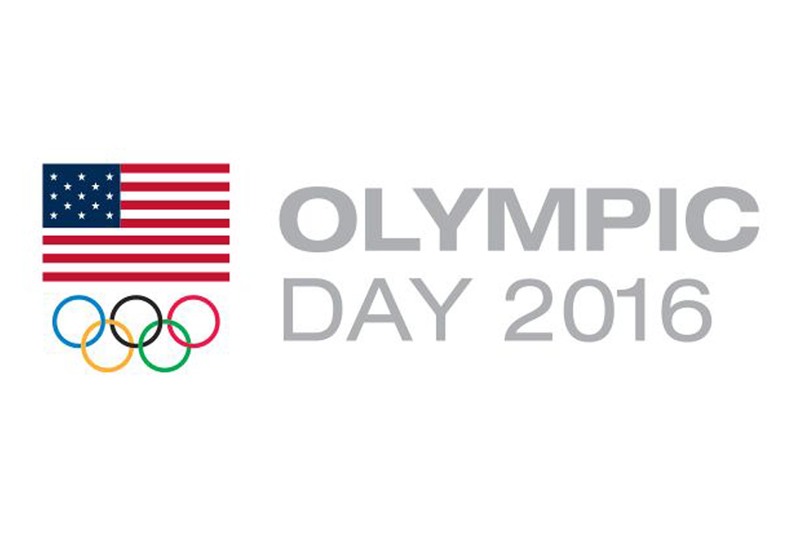 For more information on Olympic Day celebrations in the U.S. or to find an event, visit Team USA – Olympic Day, email: OlympicDay@usoc.org, or follow and join the social conversation using the #OlympicDay hashtag. Additional Olympic Day resources can be found on the International Olympic Committee’s website, Olympic Day.